For some it is hard to find any positive things from this unlucky situation. However, there is still hope: Oulu's startup scene is flourishing on the background. Just a while ago we got positive news about raised funding: CyberLightning managed to raise $4.2M for bringing 3D user interface to industrial "Internet of Things" monitoring. 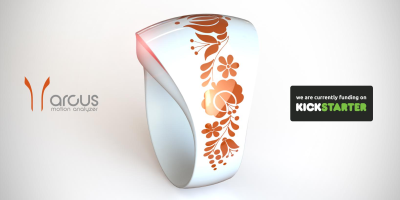 And now there is another startup stepping out: Mekiwi Oy has launched their crowdfunding campaign on Indiegogo. Mekiwi Oy's goal is to gather at least $50,000 for their further product development activities for their mobile application Wimble. With crowdfunding Mekiwi is aiming to bring Wimble for iOS along with Android release for which Wimble will be released during autumn 2014. In addition to these Mekiwi Oy plans to bring Wimble also for Windows Phone and Web. Wimble is a smart all-in-one solution for managing life, time and social relationships in a whole new level through gamified and rewarding user experience. Wimble differs from other time management applications by being motivating through gamification. It adds inspiring achievements- and ranking systems into time management to bring playfulness into users' lives. Through playfulness users can get the motivation they need to manage their time. Wimble also combines all the areas of time management together: personal calendar, tasklists, to-do lists and notes. Other applications focuses mostly only on their own areas. With Wimble you do not need anymore other time management applications. In addition to exciting user experience Wimble brings the benefits of network effect and social networking into time management. The more users Wimble has the more everyone will benefit of it. Also the more platforms Wimble supports the more users will get value together. In other words users will benefit of being connected together. This is what the network effect basically means. On the social networking side, all what users have created with Wimble can be shared with others. Users can also communicate with each other by using it. You can for example arrange a social event and invite your friends with Wimble to spend time together. All this can be done very easily with couple of clicks. When your friends have accepted the invitation you can discuss with them inside the shared calendar event. Wimble is simply a new way of communication added into time management. It makes people's lives to be more social also in real life. Maybe Mekiwi has what it takes to succeed on their mission bringing light for others and making it happen on Indiegogo. It is a very promising that young and talented entrepreneurs do brave moves like this. They inspire others to keep on moving forward. Now here is a challenge for you: please help these young entrepreneurs to bring some hope for Oulu and others and support their crowdfunding campaign on Indiegogo. Anything can happen when small things are gathered together. If all goes well we will see another positive thing to happen for Oulu. Mekiwi Oy's crowdfunding campaign can be found from following URL-link: http://igg.me/at/wimble.